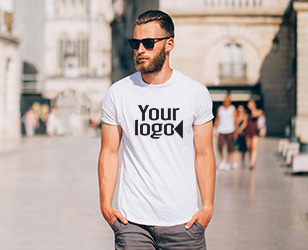 If you have a stag do coming up, why not create your own personalised t-shirts for the occasion? Upload your deign or text and select either print or embroidery and we'll create it for you. Browse our collection of over 50 t-shirts to find the best stag night t-shirt for you. Choose from our range of t-shirts from top brands auch as Fruit of The Loom, Russell, Gildan & more. Prefer long sleeved t-shirts? Shop our long sleeve t-shirt range for stylish stag do t-shirts. We have a collection of men's t-shirts available in XS-5XL with a wide range of colours, sizes and styles to choose from so you can ensure you'll find the right t-shirt for everyone in your party. It's quick and easy to to create your own personalised stag do t-shirts. When uploading your design, the file types we accept are: jpg, jpeg, gif, bmp, ai. eps, ps, pdf, png, psd, svg, tiff and tif. Multiple Delivery Options - In a hurry? We can dispatch your hen party t-shirts to you in as little as 24 hours! You can find more delivery information here. 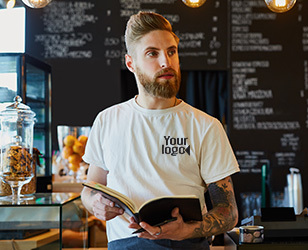 Personalised Clothing Experts - We've produced personalised clothing for 18 years and created thousands of t-shirts for events & special occasions.